* Should markets be segmented, since segmentation increases costs? * It is true that segmenting markets increases the cost in the short term. However, the long term benefits are substantial in terms of profits, sales and customer satisfaction. Market segmentation should be carried out irrespective of whether economic conditions are tough or not. l Should new geographical markets be entered into or should marketeers wait until economic conditions improve? Basically, a proper market survey needs to be carried out before entering new geographical markets. This is a basic principle in marketing. In my opinion, there is no right or wrong time to enter a market, provided the necessary market studies are carried out. 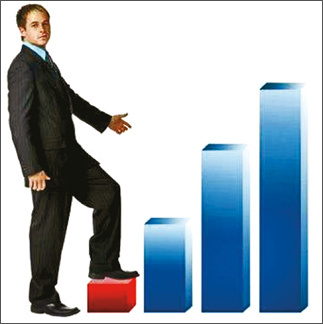 l How can sales volumes be increased profitably? A very tricky question indeed. In tough economic conditions both the top-line and bottom-line are important. Be very cautious in granting discounts, since profit margins are eroded. Quantity discounts or cash discounts are in order. Value-added promotions should be carried out, both to increase sales and delight customers. Some of these promotions could include free merchandise, premiums and other incentives. l Should customer be given instant gifts when sales promotions are carried out? l What type of market alliances should be formed in tough market conditions, to improve efficiency? There are several options available. The key aspect is to ascertain if the alliances contemplated are adding value or not. For example, distribution based alliances could open up new markets, at a lower cost. Franchising could be a cost effective method of market entry as well. Informal networks are ideal since they do not demand commitment in both the short and long term. l What marketing activities should be outsourced in difficult economic conditions? The principle of outsourcing, is that costs can be reduced. If this principle is accepted, then it is the ideal solution for tough economic conditions. However, due care must be given in terms of what marketing activities to outsource, since confidentiality can become a problem.